Is it time for a new set of fireplace tools? How do your current fireplace tools look? Are the handles safe and secure? Are they rusting and showing their age? Maybe is it time for a more updated look for your hearth. If the time has come to replace your fireplace tool set, come see us at Portland Fireplace Shop. You will like our selection and love our prices. 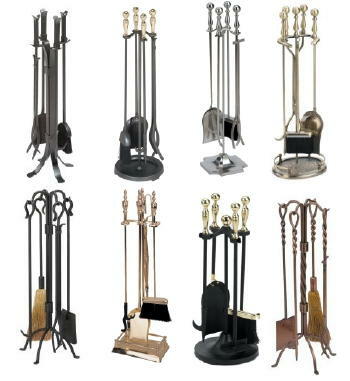 We have the largest selection of Fireplace Tool Sets in Portland.